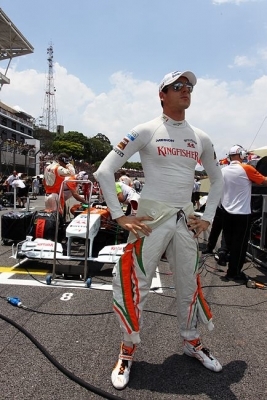 Sahara Force India have confirmed that Adrian Sutil has had a seat fitting with the team this week and he could share testing duties next week with Paul di Resta. Though nothing has been officially confirmed by the team as yet, Sutil seems to have the edge over Jules Bianchi, the other hopeful for the last seat available on the grid. The team will only confirm the driver schedule on Monday next week for the second test at Barcelona. Jules Bianchi, who is part of the Ferrari Driver Academy, had impressed during the first winter test at Jerez by posting the third fastest time of the entire four day test session. He has tested for Ferrari and Force India during the Young Driver tests at Abu Dhabi in 2012 and has some pretty good mileage under his belt. 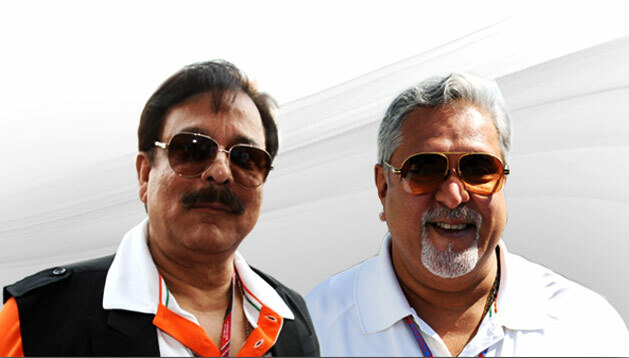 Team co-owners Vijay Mallya and Subarta Roy are both facing major financial difficulties, with Mallya's airline not being able to pay back its debt of over 1.4 billion dollars and the Sahara boss having his and his companies accounts frozen by the Supreme Court of India for not paying back investors 3 billion dollars. The main sponsors of the team are the liquor brands were fully owned by Vijay Mallya but are now partly owned by Diego Plc of UK, which might not be too keen to keep putting in money into a Formula One team when there is an economic crisis around the world. Further the "Kingfisher" brand which features very prominently on the teams car, is held as collateral by the banks that are owed money by Mallya's failed airline. The consortium of banks has this week decided to recall its loans by selling the assets held by them as collateral and this could bring about some very interesting scenarios. Though it is hard to believe, the team insists that this is a separate business entity that will not be affected by issues of other businesses. Vijay Mallya and Subrata Roy are both very seasoned businessmen who have tided over financial difficulties before, but the sheer volume of money that they are set to lose could spell tricky times for the team. but if he does not then why bring a driver who coudnt deliver last time he was in the car. Jules is anyday quicker than sutil..
Sutil does bring in substantial amounts of money from German consumer electronics company Medion, but he has spent all of last year not doing any competitive racing and that could hurt his performances.